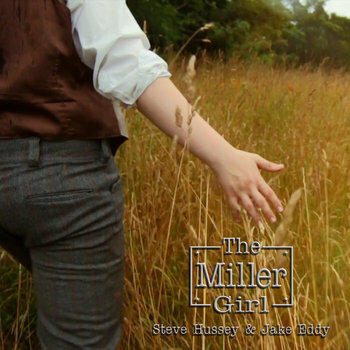 “The Miller Girl”, the debut release from both Merf Records as a label and Steve Hussey and Jake Eddy as a duo, has been quite successful to date. It has been met with widespread critical acclaim with positive reviews being published in No Depression, Music Existence, Americana UK and the Nashville Music Guide to name a few. It has been called “one of the best Americana albums of the year” and “Pure Gold”. The team of singer/songwriter Steve Hussey and 17-year-old Bluegrass prodigy Jake Eddy is a cross generational success story. Jake played 7 different instruments in the sessions for “The Miller Girl” and sang backing vocals. He is a West Virginia state champion flatpicker on the acoustic guitar (finished second on banjo, third on mandolin). All songs were written by Steve Hussey. The album has seen a lot of airplay, being featured on over 20 radio shows in the UK, Ireland and mainland Europe. It is currently, as of the date of release, in rotation on 36 radio stations in the United States and has charted on digitalradiotracker.com, sitting at #184 for all artists on the 5000 terrestrial radio stations and internet radio shows they track. Steve and Jake’s music has been played on 5 continents. The debut album from the dynamic duo of veteran songwriter Steve Hussey and Bluegrass phenom Jake Eddy. A journey through love.